1. Abuse of prescription and over-the-counter drugs is common among Chinese high school students, a study from Guangzhou has shown. The survey of more than 20,000 students found that more than one in twenty had abused medical drugs at some time. The most common drugs of abuse were analgesics (4%), followed by cough syrups with codeine (2%) and valium or tramadol (1%). 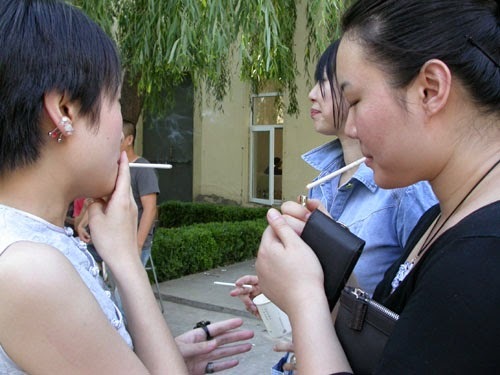 Peer pressure was one of the major influences in illicit use of prescription and OTC drugs, and it was also more common in children who already smoked, according to researcher Dr Wang Hui of the Guangzhou Centre for Disease Control and Prevention, writing in the journal Drug and Alcohol Dependance. 2. The agricultural practice of burning straw is a major overlooked contributor to smog and air pollution in Chinese cities, say respiratory physicians from the Shanghai Jiao Tong University Affiliated Sixth People’s Hospital. Burning straw caused PM2.5 levels to reach 194 μg/m3 in Nanjing, which far exceeded the daily average maximum allowable concentration of 75 μg/m3, they note in the American Journal of Infection Control. The pollution is linked to respiratory illness and infections such as pneumonia, they say, and thus needs to be regulated. 3. China has a north-south divide when it comes to hypertension in children, a new review has found. shows. Children and adolescents in the north China have hypertension rates of 18% (Beijing) or 23% (Shandong) whereas those in South of China including Shanghai and Changsha have hypertension rates ranging from 3% to 11%, according to researchers from School of Public Health, Shandong University, Jinan. The higher prevalence of hypertension in the north might be due to higher dietary salt intake they say in the International Journal of Cardiology. 4. The inherited condition of highly-elevated cholesterol levels, familial hypercholesterolaemia, occurs in about one in 200 Chinese people but is rarely detected, a study from Jiangsu suggests. In a study of more than 9000 people they found that about 0.5% had the condition, which confers a very high risk of cardiovascular disease and early death. They suggest that screening to aid detection and family tracing is carried out by hospital cardiology departments. 5. Gastric cancers account for a fifth of all cancer deaths in China and are especially common in younger women, a study from Guangzhou has found. The review of more than 2000 cases of gastric cancer found that the malignancy was common in older men but was also frequently seen in women under the age of 40. Most patients had advanced stage disease at diagnosis, suggesting that better detection and treatment of early gastric cancer is needed. 6. Chinese children are at risk from inappropriate prescribing of medicines, say paediatricians in a letter to The Lancet this week. Dr Tang Wenchu and colleagues from the First People's Hospital of Huzhou University Medical College, Zhejiang, say about a third of medicines taken by children are indiscriminately prescribed, and children are also at risk because there are few paediatric formulations of medication in China. The lack of a national adverse drug reaction surveillance system also means that children may have side effects that are not acted on, they say.